Exterior solar shades are the ideal solution for increasing privacy and reducing harsh sunlight in your outdoor areas. 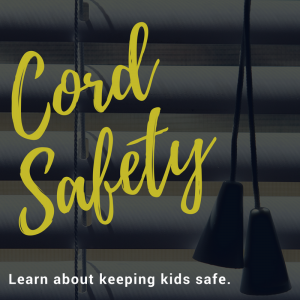 Whether your exterior solar shades are installed in your sun-room, deck, patio, balcony, or other outdoor space, they’re highly effective at increasing your family’s privacy and comfort. But because these shades are often mounted outdoors, they accumulate dirt, dust, pollen, and other debris much more quickly than other shades and require more frequent cleanings. To keep your exterior solar shades looking and operating their best year-round, it’s important that you clean them on a regular basis. 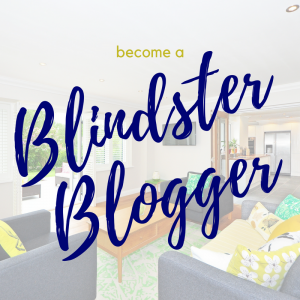 If you’ve never cleaned your exterior solar shades or are simply searching for the best way to get the job done, Blindster’s list of tips below can help you get your shades looking and operating as well as they did the day you installed them. Step 1: Determine how dirty your shades are. 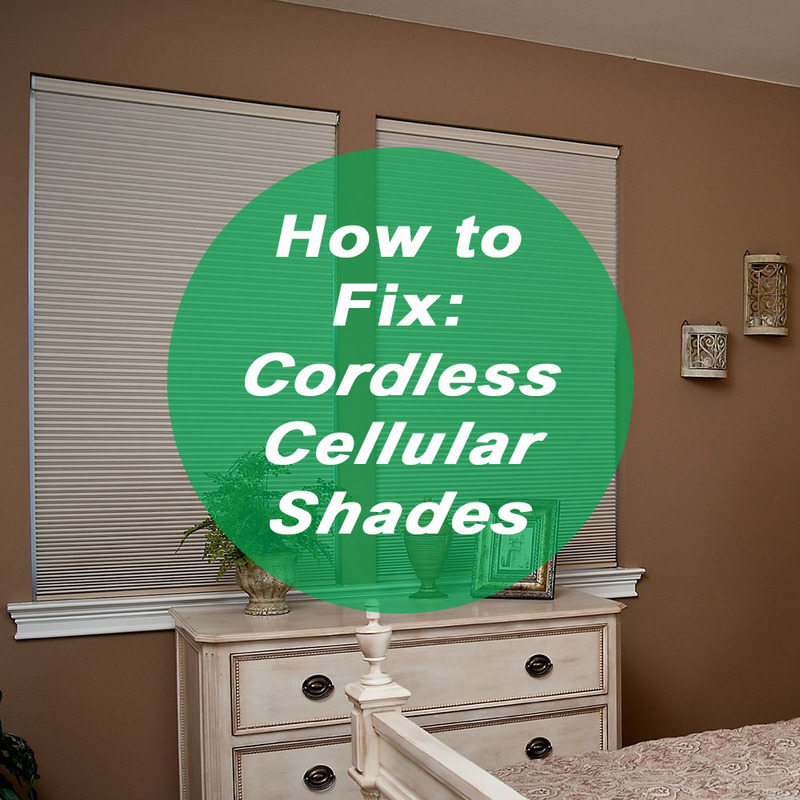 Exterior solar shades that are installed in areas that don’t receive much open air exposure, such as sun-rooms or glassed-in porches may not require extensive cleaning. However, shades that are exposed, such as those installed on decks, balconies, and screened-in porches can accumulate significant amounts of dirt and grime in a very short time period. Before you begin the cleaning process, it’s important to know how much cleaning your shades need to better prepare for the job. Step 2: Read the manufacturer’s cleaning instructions. The materials used in the manufacturing process for some exterior solar shades can be damaged, stained, or discolored by certain cleaning liquids. That’s why it’s important to read the manufacturer’s cleaning and care instructions before you attempt to clean your exterior solar shades. Check the original packaging to find the instructions. If you never received instructions or can’t find yours, check the manufacturer’s website or contact Blindster for a replacement copy. Step 3: Gather the cleaning items you’ll need to get the job done. Dust is the number one thing that accumulates on shades, and exterior solar shades are no different. A feather duster can quickly and easily lift away all but the most excessive amounts of dust from nearly every square inch of your shade and should always be your first line of defense when cleaning. While feather dusters are highly effective at removing dust from shades, they can often leave some behind. If that’s the case, use your vacuum and its soft brush attachment to lift away any remaining particles, including pet hair, pollen, and other debris. Be sure to adjust the vacuum’s suction if it’s too strong to avoid damaging the shade. If the manufacturer’s cleaning instructions for your shades permit the use of water or mild soap during cleaning, fill up a clean bucket with warm water and mix in a small amount of cleaning liquid. This mixture is gentle on almost all types of fabrics and materials and can help lift away stains and heavy accumulations of dirt and dust from the shade and head rail. Even if your shades can be cleaned using water, it’s still important that you dry them quickly after cleaning. If your shades are installed in an open-air environment, wipe off any excess moisture after cleaning to prevent streaks due to the natural drying process. If your shades are installed in an indoor area, wipe them down using a towel and point a fan or hair dryer at any areas with excessive moisture to speed up the drying process. 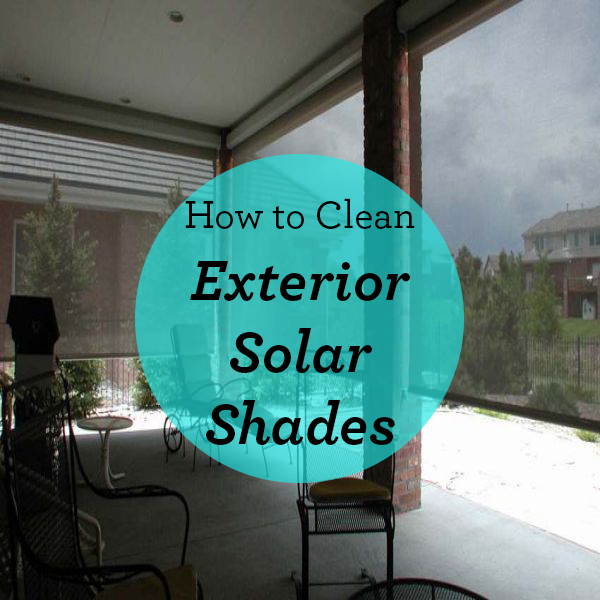 Step 4: Clean your exterior solar shades. 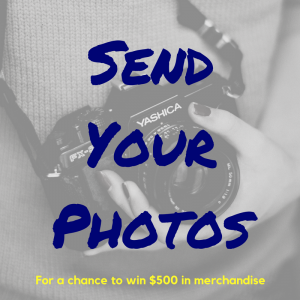 With all of the necessary items in hand, it’s time to begin the cleaning process. First, soak your sponge or clean cloth in warm water and wring it out thoroughly to remove excess liquid. Then, gently lift away dirt and dust from the headrail, while being careful to avoid letting any liquid get inside the openings. Next, use the feather duster and vacuum with soft brush attachment to lift away dirt and dust from the shade itself. Remove light stains by gently scrubbing with a damp cloth or sponge, but be careful to avoid scrubbing too hard, as that can damage the fabric or shade materials. Step 5: Remove your shades and submerge in water for a deep cleaning. If traditional cleaning methods aren’t cutting it due to heavy stains or prolonged exposure to airborne particles and debris, you may need to remove your shades from the mounting brackets and attempt a deep clean by submerging them in water (note: only attempt if your shades are safe to clean using water and mild soap). After removing your shades from the mounting brackets, submerge them in your bathtub after filling it with warm water and a small amount of mild soap. Make sure to keep the headrail out of the water, as liquid can damage the moving parts inside. Allow the shades to soak for several minutes, then use a sponge and gently scrub any heavily stained areas of the fabric. Once the stains are removed, rinse your shades thoroughly to remove all soap and immediately dry them using a towel. Allow them to finish drying by hanging them in a well-ventilated area before reinstalling them on the mounting brackets. Step 6: Follow a weekly cleaning schedule. Because exterior solar shades are often exposed to significantly higher amounts of airborne dirt, dust, pollen, and other debris than many other types of shades, they require much more frequent cleaning to look and operate at their best. To properly maintain your exterior solar shades, clean them at least once per week using a feather duster and once per month using a sponge. The more frequently you clean your shades, the less often they will require deep cleanings and the lower their risk of becoming permanently stained or discolored.